This last weekend Michelle and I got to race the Age Group Championship for REV3 in Knoxville. This is the first year for the Age Group Championship and we thought it would be fun to do…it was mostly fun. If you are not familiar with the REV3 AG Championship they used races from last year to assign points. Points were based on how well you finished with the lowest score going to the winner and then it goes up from there. You must have completed 2 races to qualify and they only invited a certain number of participants that qualified. If someone did not sign up they rolled it down to the next person. Since racers could qualify with both Olympic and Half distance races REV3 made this a wonky distance. It was a 1.2 mile swim, 40 mile bike, and a 9.8 mile run. It proved to be wonky indeed. Do I race it as a long Olympic or a short Half. Leading up to the race I was eating well and sticking to the training plan. I felt strong and went through my short taper with no real glitches. Just 2 missed workouts due to some travel. We had some local italian the night before and got to sleep early. I woke up around 4:45, got dressed, put my timing chip on (always one of the first things I do), and started some pancakes. Since the hotel breakfast is not started we try to bring our grill and make our own. We were out the door by 5:15 and walking to transition. Everything was set up at transition, tires pumped, towel down, stuff organized, emptied out stomach, and before we knew it we were both in our wet suits walking the quarter mile to the swim start. 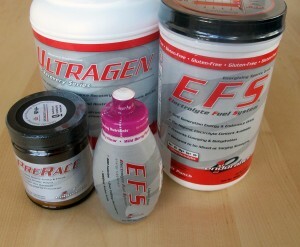 We had our pre-race juice (1 scoop EFS pre-race, 1 scoop EFS, 12oz Poweraid zero). We drank those on the way. The swim went a bit up stream at first but then turned around and most would be downstream. The temperature was 68 race morning so it was delightfully refreshing. I had my full sleeve wet suit for this one. We watched the pros start and judas they can fly through the water. Soon after my wave was in the water for our mass start. This swim went very well. It was not crowded, and when you did get close to someone they moved. That was different. I felt strong and stayed somewhat straight in line with the buoys. Time: 38 minutes – PR for the distance. There was a bit of a jog to the transition area from swim out, but it was no big deal. In no time I was off with my shoes on, helmet strapped, nutrition loaded, and glasses on. The bike course was hilly, and I knew it going in. However I didn’t fully comprehend how close together the hills were and how little respite I would have. I had a range of power in mind to hit, but I was going to let the day let me pick the final number. Heading out on the bike we jumped onto an on ramp, crossed the river and started on the 36 miles of 2 track country roads. They were well maintained and still open to cars. But all the intersections were blocked off by police. The first real climb didn’t come until mile 7 but was followed by a quick descent. Which was then followed by another climb, followed by a quick descent…followed by a climb…and on, and on, and on. The most significant climbing seemed to be around mile 32. At that point I knew my legs were shot. My quads were burning and it was hard to maintain any kind of power. I made sure I fueled up on the bike. My legs were burning which meant I was burning fuel. I cleared one bottle of liquid shot, 20 oz EFS, and another 20oz of water. I would have liked to drink more, but it was a cool hilly day, not the best conditions to be grabbing bottles. I still felt ok for nutrition. The weird part of this race is that there was an Olympic and Half going on at the same time, on the same course. At mile 26 I met up with the Olympic athletes. Which meant more people to pass. With 2 miles to go and the river in sight we hit the steepest climb yet. Luckily it was short, but I could tell it was breaking all the cyclists around me. I had to stand to use some body weight to turn the cranks. Coming off the bike my legs were burning. I spent an extra few seconds on the ground putting on my shoes. I think it helped a little. At least for motivation. I hit my first mile time. I was keeping my cadence as high as I could knowing that would help ease the load on my legs. It didn’t help for too long. My cadence dropped a bit and so did my speed. I did get to see the pros as they were finishing up their run course. They were running fast. This was one of my favorite parts of REV3 races, but the pro race series is going away so I will not get to enjoy it at REV3 again. Just past the olympic turn around we jumped onto a paved trail. I knew the running hills were going to start. We got a little warm up to get our attention with a short hill. But then you came around to a beast of a mountain. An athlete in front of me put it best…”F@#k”. It was tough, but I kept my feet moving and fired from what was left of my glutes. The course leveled off for a bit and we headed into a neighborhood for a decent descent right into hill 2. Just as tough as the first and at this point my legs are screaming ready to quit. I was having none of that and fought through as tough as I could. I held a steady grimace on my face the whole way back. I am not sure how I kept running, my quads were on fire. I slogged along as fast as I could knowing I needed to finish the whole thing quickly. Coming back through the Olympic turn around was reassuring, then heading back up the long steady uphill road to the transition area was nice. Knowing there was only a short uphill to the finish chute kept me going. I emptied the tank on the way up to the finish and crossed the line exhausted…barely standing…legs still on fire with pain. I hobbled back to transition to get my Ultragen and my quads started cramping up on the downhill walk. What more could I ask for, my body was drained. Would I do it again, probably not. It is a weird distance, I would have much rather prepped for a Half or an Olympic. It’s just weird, fun, but weird. It has always been my nightmare…cramping up, melting, DNF. Luckily it has only become a reality once, but I still do not think I have a full handle on race nutrition. My one crash and burn story is from Nov 2012 during the San Antonio Rock n Roll marathon. It was hot. It was my first marathon. It did not go well. I paced where I wanted to be for the first half, but then my upset gut took over and I spent the next 2.5 hours in agony. I learned later that salt pills are a good idea on hot days. Silly me. Fast forward to my last race, REV3 South Carolina and my gut did not want to race, nor did my cramping left calf. It was no where near as severe as the marathon, but something went wrong and I want to find out what it is. So I am on a mission to try out something new, just before race day. Next race is in 3 weeks so I will have about 1 solid hard week to test it out. I picked First Endurance and snagged their Pre-Race (powder packed with awakening products), EFS sports drink (standard mix with water), EFS Liquid Shot (comparable to gels, but more powerful), and Ultragen (Post workout you mix with a drink, I like Powerade zero). So I will be trying these out over the next few weeks to see if it helps any. There is so much nutrition out there and everyone reacts differently. I am hoping this will shake up the routine and lead me to a great race in Nov…REV3 Venice 70.3.